Dies R Us: Party Boy! This week's inspirational card is for a special little boy's first birthday. Life seems to be getting in the way of crafting time as I seem to constantly be left short for cards. Thankfully I'd had this image coloured previously so it was only a matter of selecting some paper, some coordinating party dies and putting it all together. 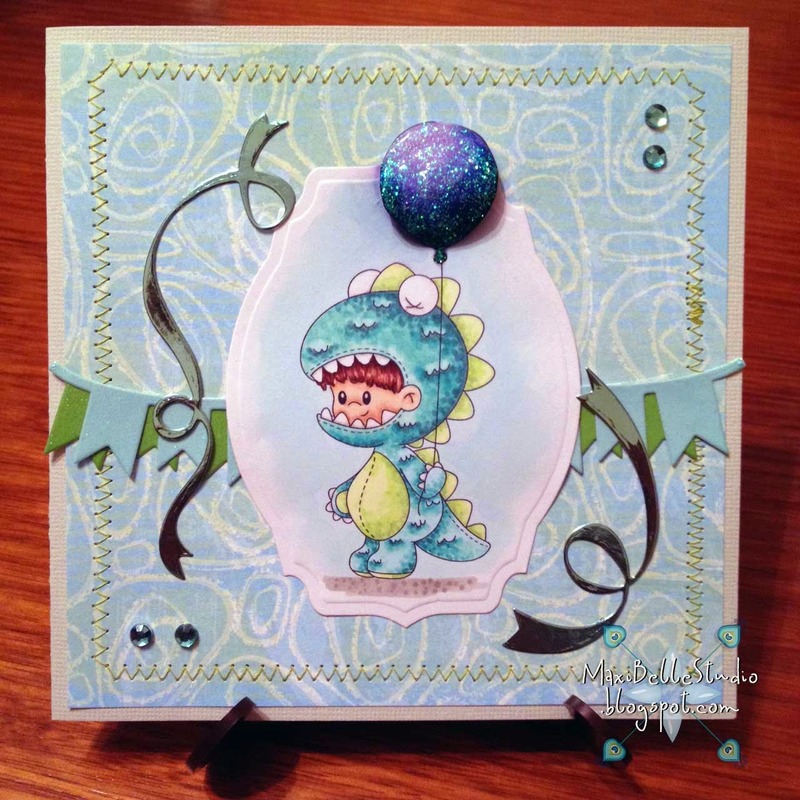 I used the Spellbinders Label 36 to frame this ultra adroable little 'Party Animal' from A Random Fan. As it's a first party, I wanted to add some 'party' or 'celebration' quickly so used the Memory Box Curled Ribbons along with the Taylored Expressions Party Banner Border teamed together with some foil and glitter cardstock, to create my party atmosphere. 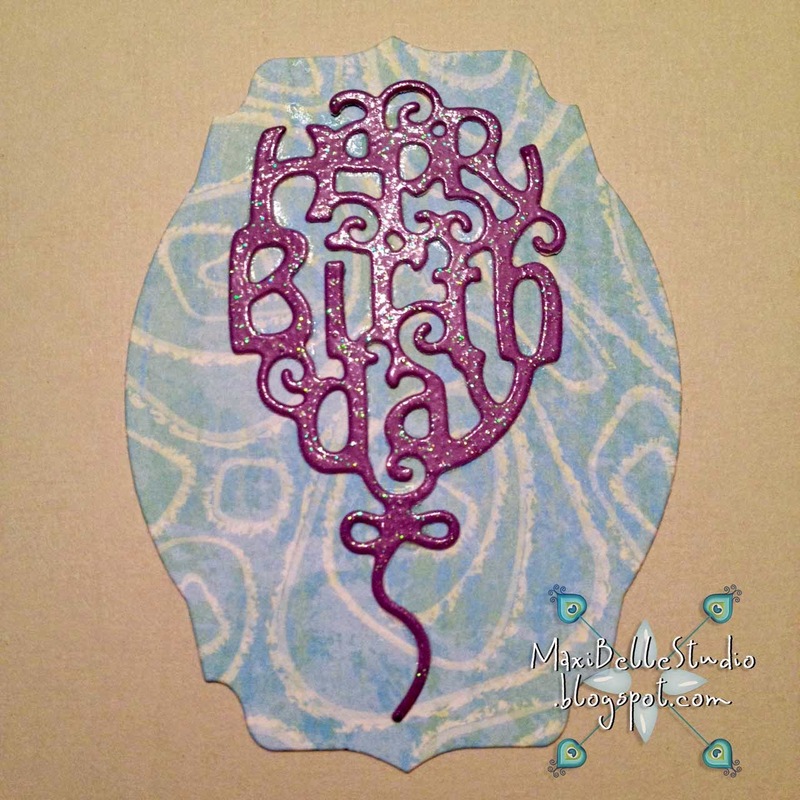 I also decorated the inside of the card with the Die-Mensions Birthday Balloon, layered on Spellbinders Label 36. I had originally intended it to go on the outside, however I didn't like there, so instead of wasting the cut (or forgetting it for the next card) I added it onto the inside. Our current 'School Days' over at the Challenge Blog closes tomorrow, however our 10th challenge will be starting on September 15. The theme will be 'Fall Festival'. There will be plenty of awesome DT creations from the talented Team B. To be in the running for the $10 voucher at the Dies R Us store just use a die in your challenge entry. So get your craft on & make something over the weekend! 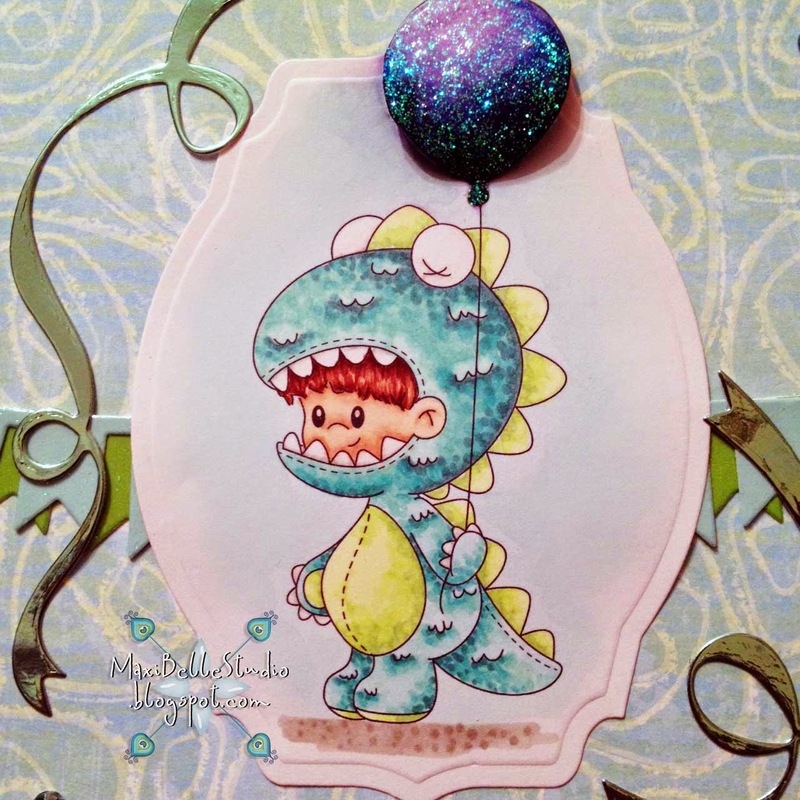 Super cute card always love your coloring great use of dies Alicia!